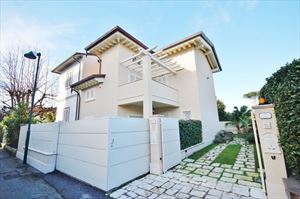 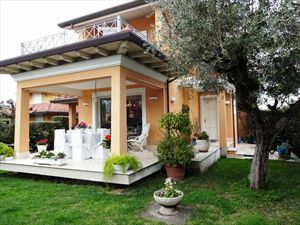 Outside there is a double veranda equipped with a dining table and garden furniture. 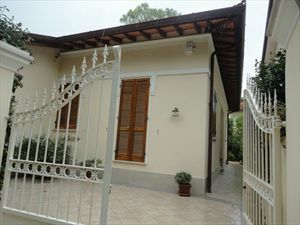 The ground floor comprises a living room, a kitchen, a bathroom with a shower and a double bedroom. 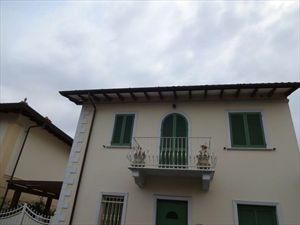 The second floor includes two double bedrooms with the exclusive service with shower, and a single bedroom. 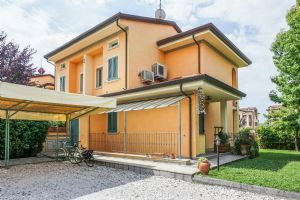 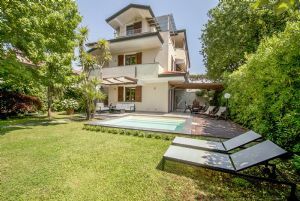 The Villa is also equipped with an automatic gate, parking space, air conditioning in the master bedroom and fan in the other rooms and Wi-Fi Internet connection.